Drip This Blue Raspberry has been added to your cart! Drip This Blue Raspberry has a flawless balance of sour and sweet! 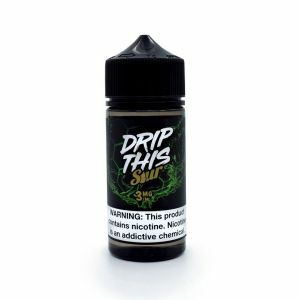 Drip This e-juices are top-shelf blends with flavors so delectable and sacred it would be a shame not to drip them! Drip This Blue Raspberry is a burst of flavor in your mouth, consisting of juicy blue raspberries that have been rolled in mouth puckering sour sugar.